(Reuters) - The pilot of the crashed Ethiopian Airlines 737 MAX 8 jet had reported flight-control problems and wanted to return to the airport, the Wall Street Journal reported on Wednesday, citing the chief executive officer of the airline. 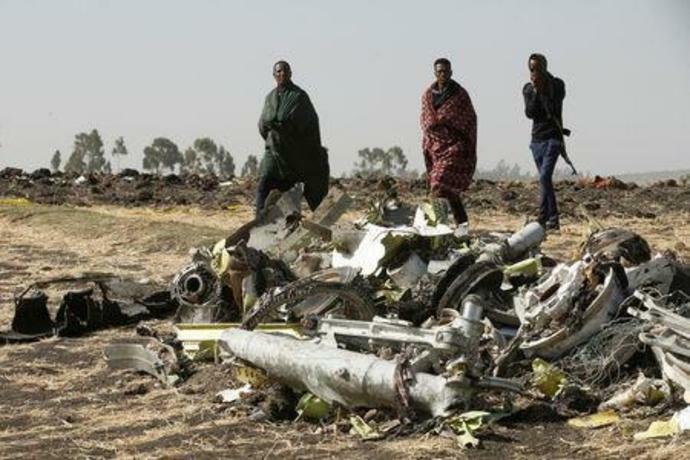 In recordings of his conversations with controllers, the pilot didn't indicate any other external problems with the jet or the flight, like a bird collision, CEO Tewolde Gebremariam said, according to the report. All 157 people on board the flight were killed in the Sunday crash. Ethiopian Airlines did not immediately respond to a Reuters request for comment. Wall Street Journal Associate Editor John Bussey and RealClearMarkets Editor John Tamny on the Mueller report and its potential political and market impact.